The Villa Arson (Nice, France) invited the Encyclopédie de la parole to exhibit the whole of its sound archive up to February 17th, 2011. 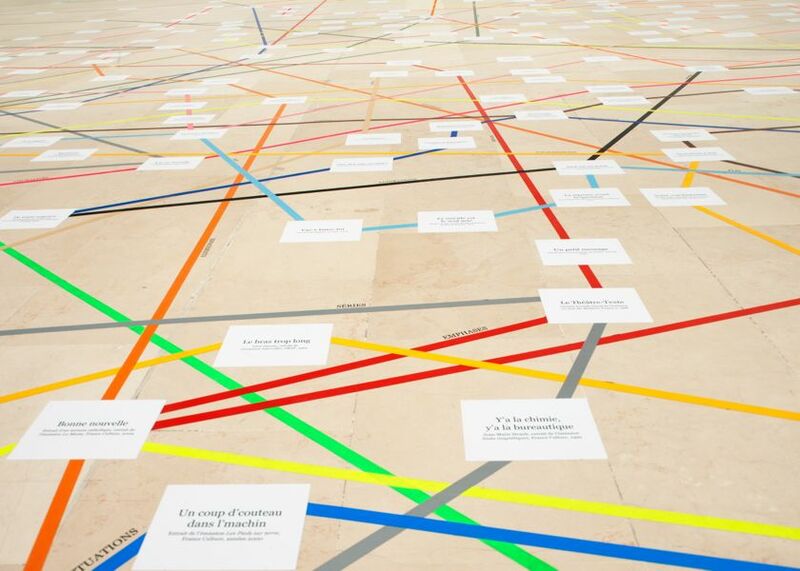 The installation took the shape of a 3,300 sq/ft-floor map, on which the 500 or so documents from the collection – as gathered to that day – were represented by text panels, connected to one another by eighteen lines corresponding to the eighteen entries of the Encyclopédie. To walk across this sound area, each visitor was provided with a bar code reader that enabled them to listen to the documents one by one, following the entries. Recordings included in several entries became crossroads, inviting visitors to step from one line to another, thus creating their own route themselves.